YOUR VOTES – WE’RE CONFUSED TOO! This is the position as we understand it at 19.7.16; we will post updates as we receive them. Please check for yourself before you take any action as advice is changing by the hour, and we’re confused too! To vote in the NEC elections (see below) you need to have joined the Labour Party before 24 June. 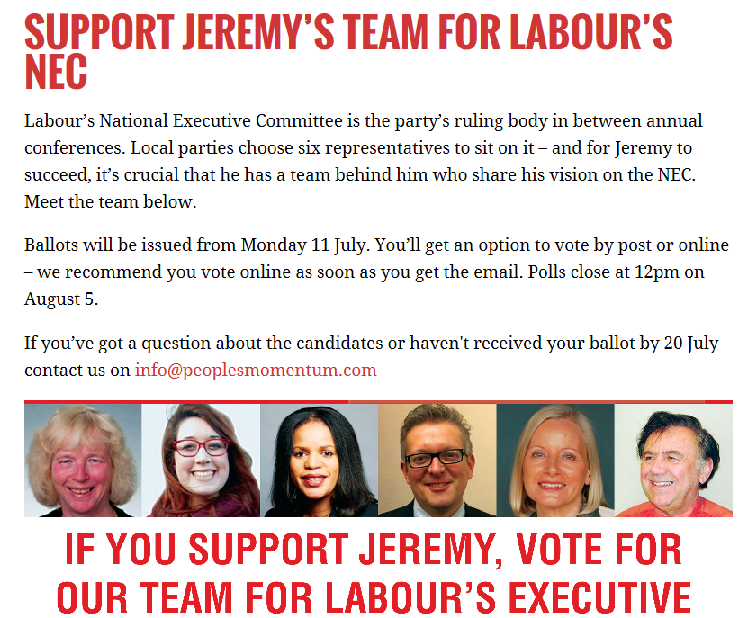 To vote in the Leadership election you need to have joined before 12 January; this was decided at the NEC meeting on 12 July. There may be legal challenges to this ruling as the Labour Party has been encouraging people to join ‘to vote in the Leadership election’ with no reference to cut-off dates. Existing registered members (£3 members) will need to re-register if they wish to vote in the Leadership elections, as this form of membership only lasted six months. They can only do this in the 48 hours between 18 and 20 July; we believe this is from 5pm Monday to 5pm Wednesday, but have conflicting information! This will now cost £25, which is about half the cost of full membership (but still a lot of money, we know). ‘New’ people can also join as £25 registered members in this 24 hour window. If you joined the party as a full members since 12 January you are able to re-join as registered members to vote in the Leadership election – there has been no ruling to date stating that you cannot. The National Executive Committee agrees rule and policy changes for the Labour Party. 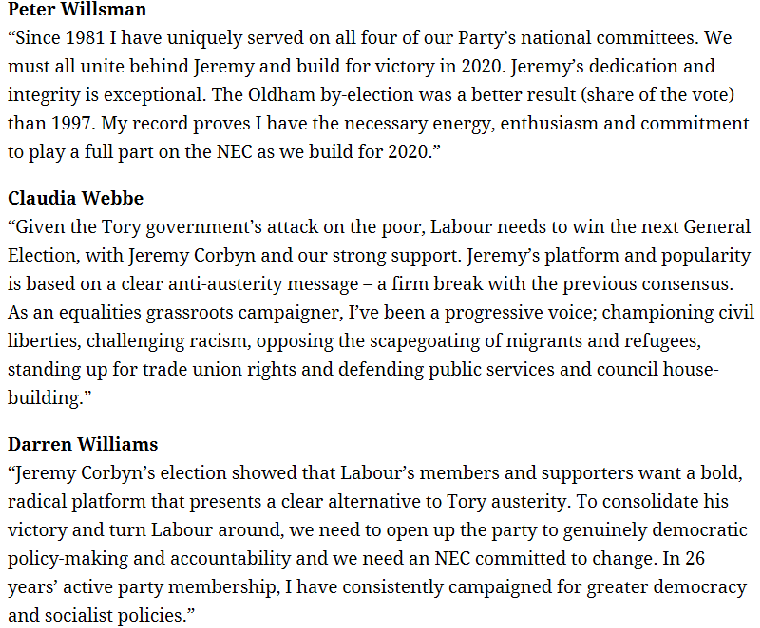 Membership of the NEC is crucial to enable the party to grow and shape itself according to the needs and wishes of Labour Party members. 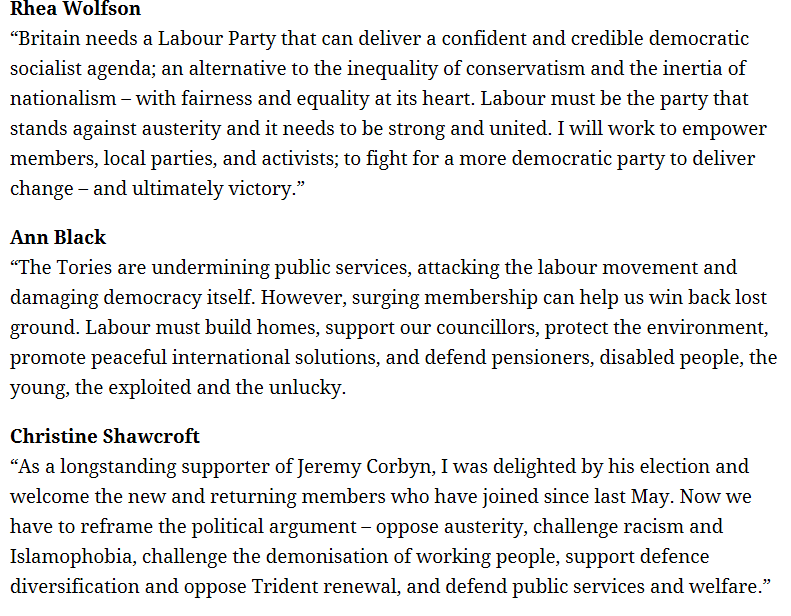 Kensington CLP voted overwhelming to support Jeremy Corbyn as our Leader in July 2015, and members tell us that they will continue to support him and his socialist policies. 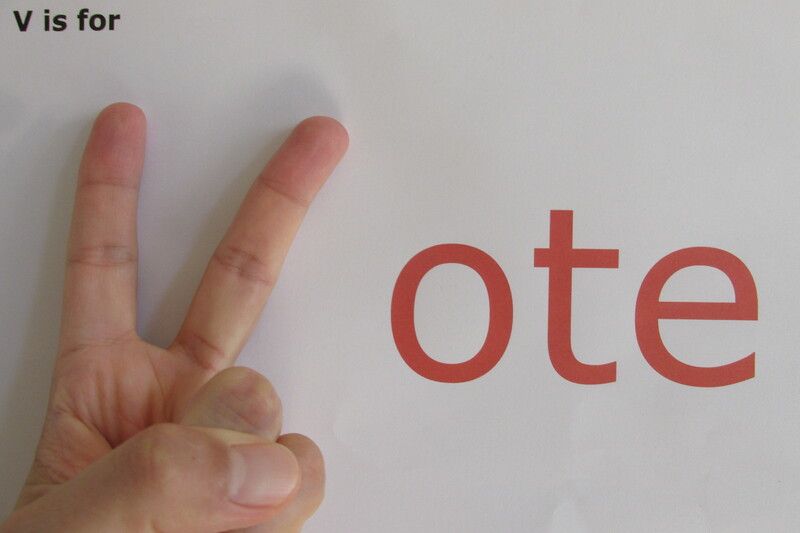 Next Next post: Labour Leadership election – volunteer!